Kathryn Ormsbee writes books, cooks food, & records podcasts in Austin, TX. 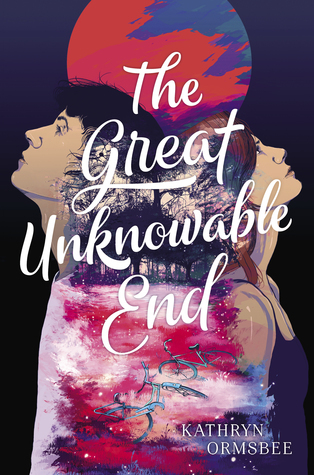 She is the author of YA novels LUCKY FEW, TASH HEARTS TOLSTOY, and THE GREAT UNKNOWABLE END (Simon & Schuster). Kathryn also writes Middle Grade fantasy novels as K.E. Ormsbee. She is the author of the WATER AND THE WILD series (Chronicle Books and Gumption Press), THE HOUSE IN POPLAR WOOD (Chronicle), and the upcoming sci-fi adventure MIDNIGHT ON STRANGE STREET (Disney-Hyperion, January 2020). Kathryn likes clothes from the 60s, music from the 70s, and movies from the 80s. She is from the 90s. You can visit her online at keormsbee.com or follow her on Twitter & Instagram @kathsby.